Edgar leaves for Duma Key, an eerily undeveloped splinter of the Florida coast. The sun setting into the Gulf of Mexico calls out to him, and Edgar draws. 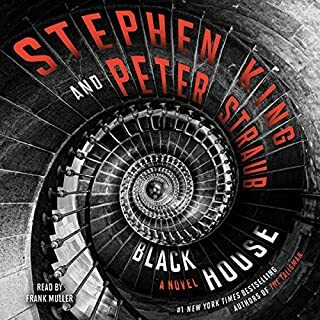 Once he meets Elizabeth Eastlake, a sick old woman with roots tangled deep in Duma Key, Edgar begins to paint, sometimes feverishly; many of his paintings have a power that cannot be controlled. When Elizabeth's past unfolds and the ghosts of her childhood begin to appear, the damage of which they are capable is truly devastating. 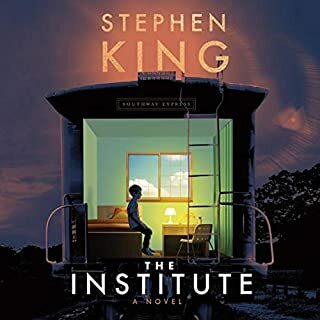 The tenacity of love, the perils of creativity, the mysteries of memory, and the nature of the supernatural: Stephen King gives us a novel as fascinating as it is gripping and terrifying. ©2008 Stephen King (P)2008 Simon and Schuster, Inc. I've been reading Stephen King since Carrie came out in paperback. Many years. Some were great reads, and some were clunkers, though most were great with the exception of perhaps The Tommyknockers. The Stand being my absolute favourite book of all time, of any genres. 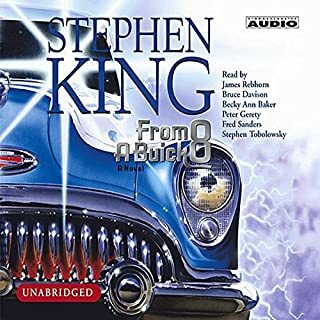 I read everything Stephen King put out until I lost my sight, and now have most of his audiobooks. 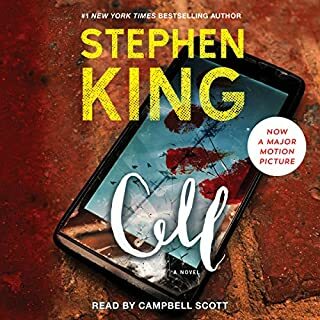 Now that I'm older and non sighted, audiobooks have become my way of connecting with my love of reading. Everything that featured the wonderful Frank Muller, is still in my audio library forever. From most authors, I loved his voice and can't believe he was long in his grave before I got to know him! :( RIP Frank. (injured in 2001, he died in 2008 from injuries from that accident) He left big shoes to fill. Upon embarking on the formidable Dark Tower series (which I didn't read when it came out) I had to get used to a new narrator, and that was George Guidall. (Honestly, I love Stephen King and admire him so much, but I cannot listen to him read a full book. So one book is not in my library, that's the one in that DT series which he narrated. Audiobooks may be for busy people at the gym, for me they are a lifeline to a world I lost. To be a good writer of audiobooks, you have to have 2 things, a great, descriptive story by a talented author, and a great narrator. If one's missing, the other will not keep our interes, or worse, cause us to not finsh the book. Personally I love Science Fiction amf high fantasy like ASOIAF, but cringe listening to the dear departed Roy Dotrice (The pyromancer in early season of GOT) do Missandei's voice. It's just all over wrong. Otherwise he was stellar and will be missed if the Winds of Winter ever come out. Now, here is another great narrator, I really enjoyed his voice. He brought this story to life, did pretty decent voices in my opinion, and just did a great job. He made this book a success, like some of the narrator greats do to some of the best, and worst books out there. I loved this book for many reasons. Primarily it being non horror, a bit creepy story but also just a lovey visual read. The beach, the Big Pink, the art, the characters-- he was able to paint a picture with words so I could literally "see" the story. Loved it. 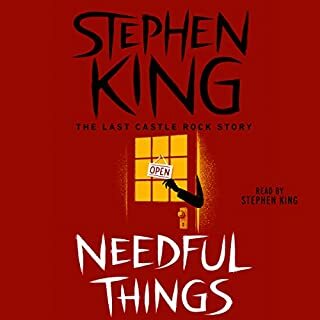 Not going to spoiler it a bit, this is a story about a wounded man and his recovery with some cool, sad and creepy stuff thrown in to make it a Stephen King book. It was really enjoyable. I'll be doing further books if the internet behaves and let's me stay online longer that 2 seconds. 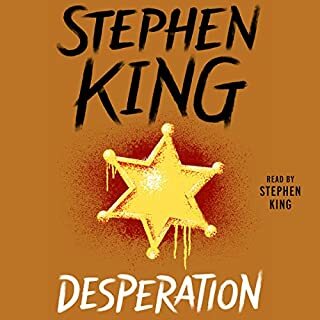 Loved it start to finish, one of my favorite King stories. Not the usual story, but it catches you right from the beginning. One of my favorites by King so far! A wonderful story filled with struggle, hope, triumph and fear. You really get to know the characters and feel for their struggles. 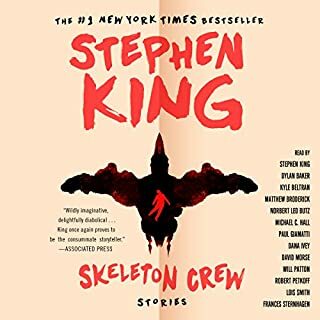 It definitely has King's supernatural flair but differently then other works by him. The narrator was also very strong and kept me it the whole time. Chararacters that became, at least to me, more real as friends than some people I know. Hard-won insight into what makes us human, how we deal with time, loss, fear of loss (Since when have you taken the chance to make friends with an 86 year old woman? ), the mysterious tangle of creativity.... This all makes me want to, rather than a dead sort of word like "literary," apply to King what someone, if I remember rightly, said about Ellington, "He knew what music was for." King knows what a novel is for. Get involved. Come along. 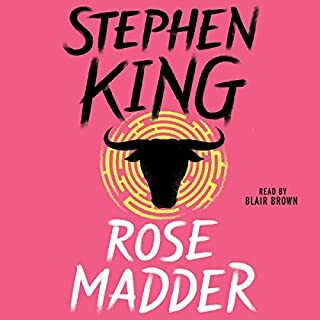 And finally, it includes a supernatural element that rather than making the story less powerful, merely paints it in King's chosen palette: vivid, disturbing, painful, tender, and essentially real where it matters most, and where perhaps it looms the most dangerous. John Slattery, the reading was brilliant. Your voice stood up, offered me a cool drink, and became Wireman to me. I'll miss you, my friend. Highest honors. It's been mentioned in some of these reviews that 1) the language was unnecessarily coarse and 2) that it started slow. First, the language is entirely appropriate to an adult novel where organic brain trauma is involved. The protagonist's verbal outbursts can be, unfortunately, all too accurate, and are intended (I believe) to frighten the reader as it does the characters involved--to offend one's sense of how things ought to be. In response to the second, I found the pace of his development added to my involvement in the story, and helped to add the kind of inevitablity, depth, and increasing momentum so present in the best of some of King's work. Also, I believe for the novel to work as well as it does, that we must see, really see, what happens there, and in that order. 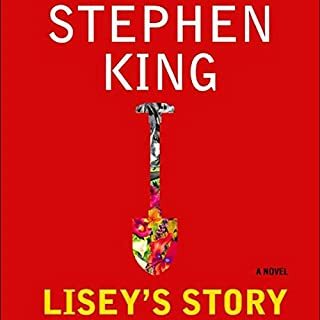 My favorite Stephen King novel yet. Full disclosure; I'm definitely a fan of Stephen King. That said, I felt there was something special about this book. The story seemed more personal, the relationships more genuine. The narration is exquisite. 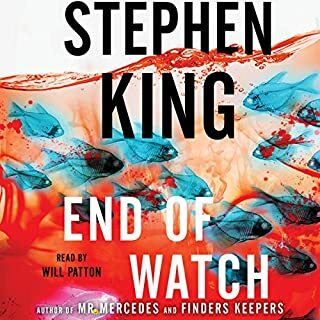 Also, this book has a more satisfying ending than you normally get from SK; I don't think endings have ever been his forte (for me SK has always been more about the journey than the destination), but this one was done really well. Written after his own car accident, this story about a man recovering from serious injury perfectly described the phenomenon of living with ever present pain - something I've rarely found described accurately. All in all, a fantastic, thoughtful, spooky story told perfectly. I hope you enjoy it even half as much as I did. Hard to believe that I've been reading Stephen King for twenty-five years, but there it is. I started with "Pet Sematary" and have read 90% of what he's written since. Does that make me a King "expert"? A dubious distinction . . .
You'll also recognize King's typical build-up. Normal guy in unusual circumstances finds himself confronted with ambiguous monster out to get him (and his family) for unknown reasons. The foreplay is always more exciting that the actual act. 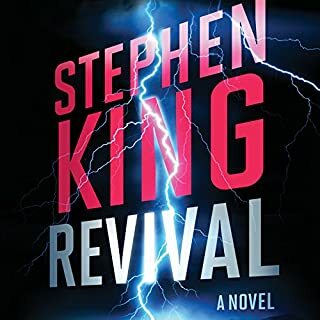 Just like in "Dreamcatcher", King has trouble in this book moving from the heavily foreshadowed bogeyman to the real-life campaign to kill it. (Where do his monsters ever come from anyway? Do they ever have a history?) 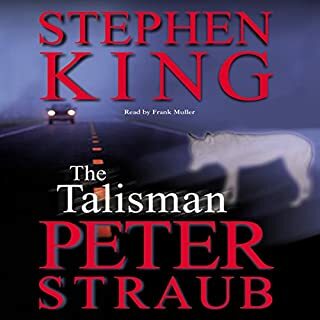 The exposition is quality, like something out of "The Stand" or "Hearts in Atlantis", but the ending melts into cheesiness, like a chapter from "Salem's Lot." As an English teacher, I have a running row with my colleagues about whether or not King writes literature or trash. My argument has always been that he writes both. Most people don't realize that he's behind "The Shawshank Redemption" or "Stand by Me", or that his story "The Man in Black" won 1st place a few years back in "The Best American Short Story." (Ok, maybe that was a marketing ploy. But any guy who churns out a book a year, at least, is using the "win sometimes lose sometimes" strategy.) In this book he wins and loses. Great characterization and build up, unsatisfying hackneyed ending. Stephen King. Nothing accomplished except very long walks with dog and MP3 player. I would vote that this is his best book ever. The Florida Keys will never be the same, and I won't be buying any artwork soon!!! !You need to read/listen to this book. PS I really enjoyed the reader also. I thoroughly enjoyed this book. The characters were well developed, the story gripping, and the scifi in keeping with King's other greats. I see that some complained about the story getting off to a "slow start." 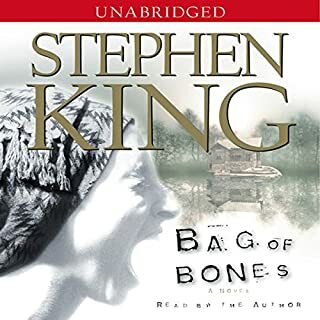 Not only is the first third to half of the book about character development and building suspense, it is also a drama that is a great read even if the book never moved to the supernatural thriller that ensues. The narrative is high quality and not at all distracting, with multiple true characters done well. 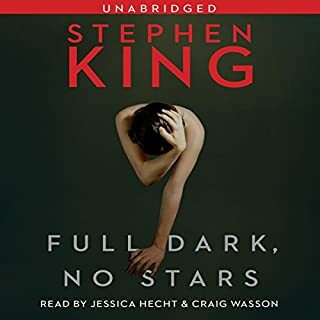 The only reason I give this 4 rather than 5 stars is that Steven King is a guilty pleasure rather than a great novelist. He relies heavily on the ingredients found in so many of his previous works, so this is in part a formula horror/scifi book of his. Well worth the listen and the price! I can't say enough good things about this book. 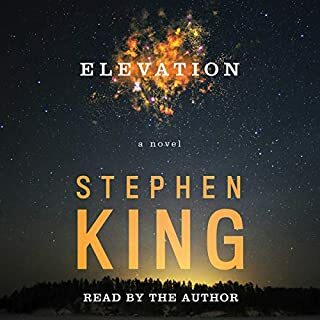 I love the story (of course - Stephen King is the best) but John Slattery's narration is excellent - great voice and subtle but distinctive character differences. Very memorable. I've probably listened to 40 audio books in the last couple of years and this is the best. I've listened to it twice. I'll listen to anything with John Slattery. I loved this book. 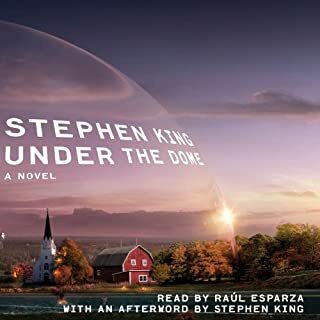 After reading Under the Dome which was a noisy, fairly grim story...it was nice to follow it up with a quieter tale that is much more human. In fact, Duma Key is very literary in the way it is written. What I loved is that there is no bad guy in this book. Edgar Freemantle actually is blessed with loving friends and family. These relationships are developed throughout the story. I cared about them so much, I wasn't looking forward to the part of the book where you know the inevitable shoe is going to drop. John Slattery (Mad Men) does an awesome job. This story is told in first person, and he really did become Edgar Freemantle. 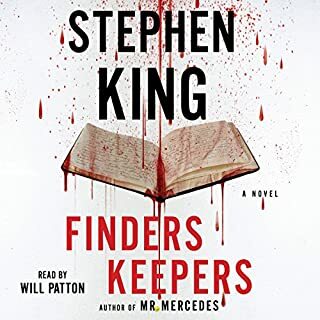 If you're looking for a King book that doesn't have buckets of gore or violence, yet has enough chills to make you want to sleep with the lights on. If you're looking for a book with characters you will care about. I recommend this book. I loved this book. Great plot with just enough of the surreal to know its King yet totally believeable character action and developement. I have read almost every King book and this one is on the top of the list. I have listened to some 200 books in the past three years and this narrator, John Slattery, is one I will seek out in the future! Seems like I liked it. You will too! Duma Key is one of Stephen Kings best. He too often gets pigeon-holed as just a Horror writer when what he really is a Great writer. 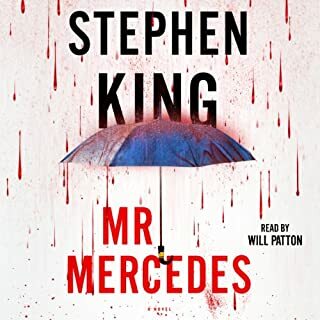 I listen to his books not because they make me want to look under the bed for monsters, as another reviewer mentioned, but because they are great stories. Although they usually deal with the super-natural, it's the everyday, blue collar people, places, and dialog in his stories that I find so believable. That's what allows me to visualize what's happening and escape into the story. 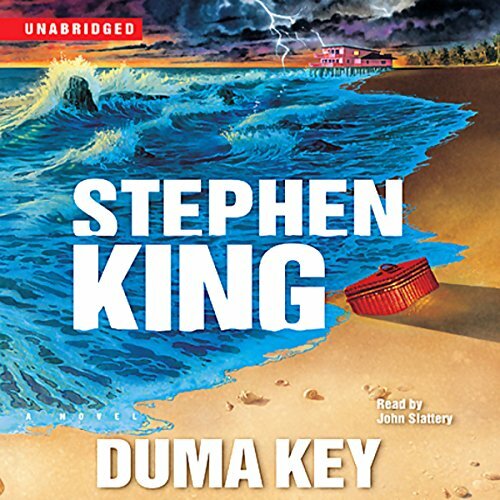 Listening to Duma Key gave me 21 of the most enjoyable hours I've spent in quite some time.